‘Another new café on Crown Street?’ we hear you ask. Yes and this one’s a charm. We decide to sit inside on this rainy April day and it’s a great decision. There is a type of theatrics to the place. 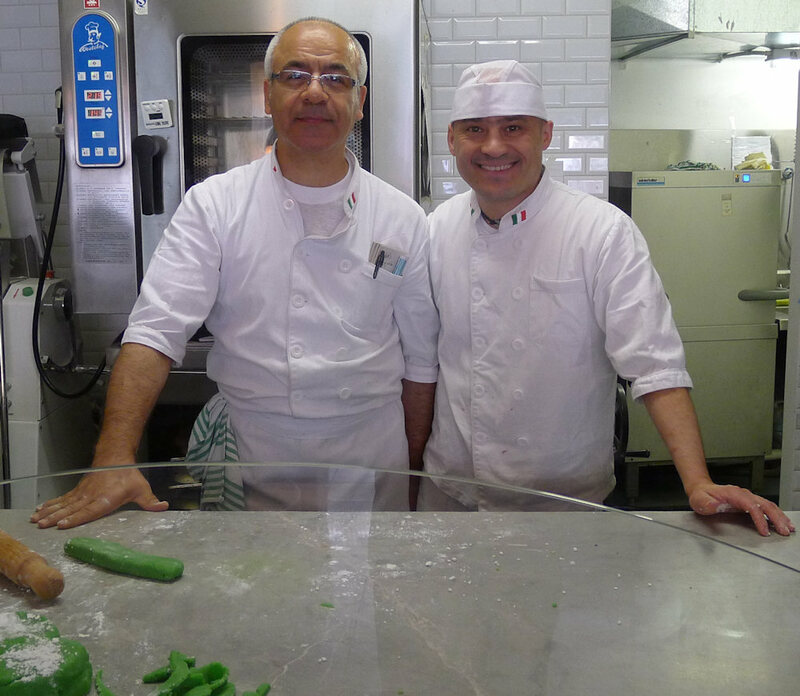 Two men make pastries behind a glass partition in the back of the café as a myriad of waiters rush around filling orders. Our waiter is no exception. The service is fast and friendly. Before we know it there are two glasses of chilled water in front of us and we’re drooling over the menu. There is a food and drink menu (but no specials board) and a large glass display cabinet showcasing the daily sweets and treats. 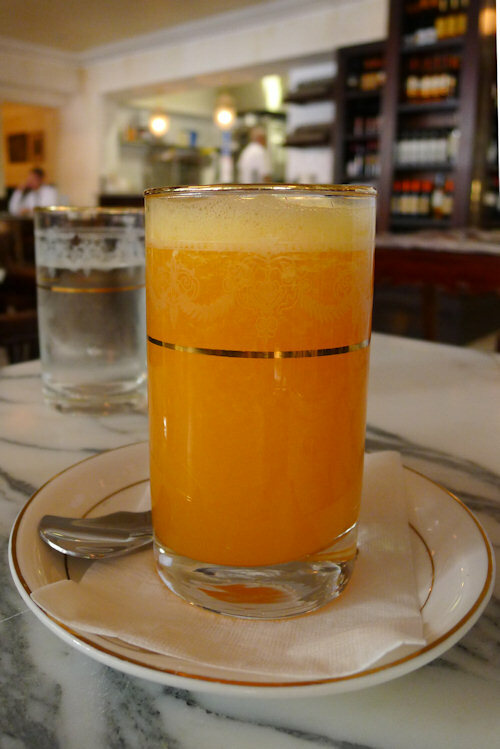 The orange juice ($5) is the only juice on the menu however it is obviously freshly squeezed and tastes amazing. 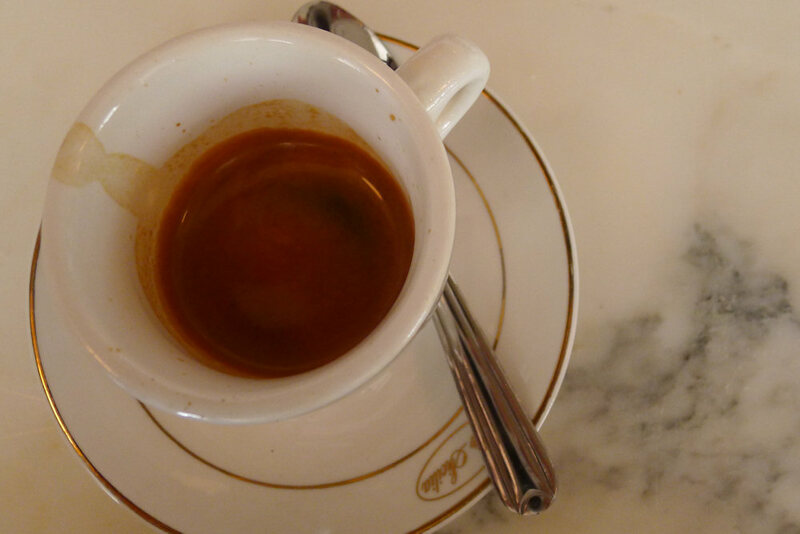 The espresso ($3) is served in traditional Italian style in matching Caffé Sicilia crockery. It is delicious and we want more (as usual). 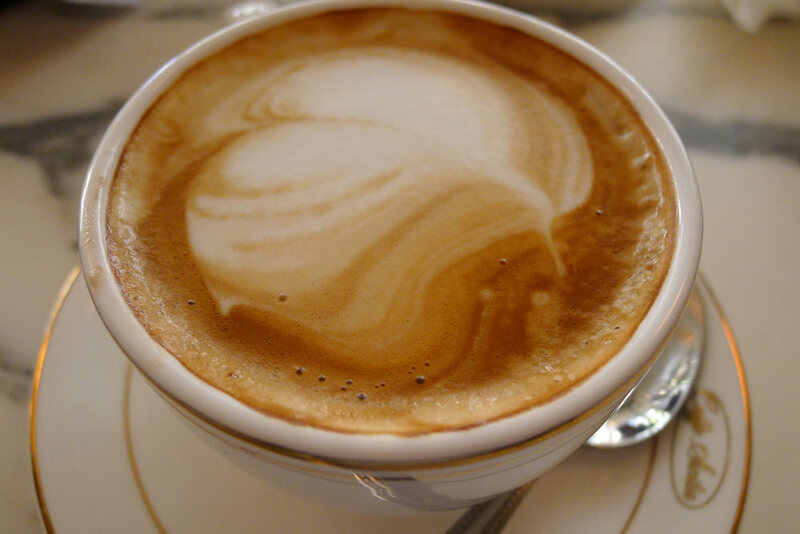 The flat white ($3.50) is another welcome coffee at our table. It is served quickly and exceptionally hot which is a plus. Italian establishments often serve very strong coffee but this tastes great. The full Sicilian breakfast ($18) is comprised of two eggs (done any way) on focaccia toast with bacon, spicy beans and Sicilian sausage. The eggs are poached together and meld into one. There is a distinct vinegar flavour but that’s something that often comes along with poached eggs. The focaccia is lightly toasted and still soft and fluffy with a slight crunch. There is very little to fault with the rest of the ingredients on the plate. Spices were added to the beans but they aren’t spice-hot so you can safely order them even if you can’t handle hot food. 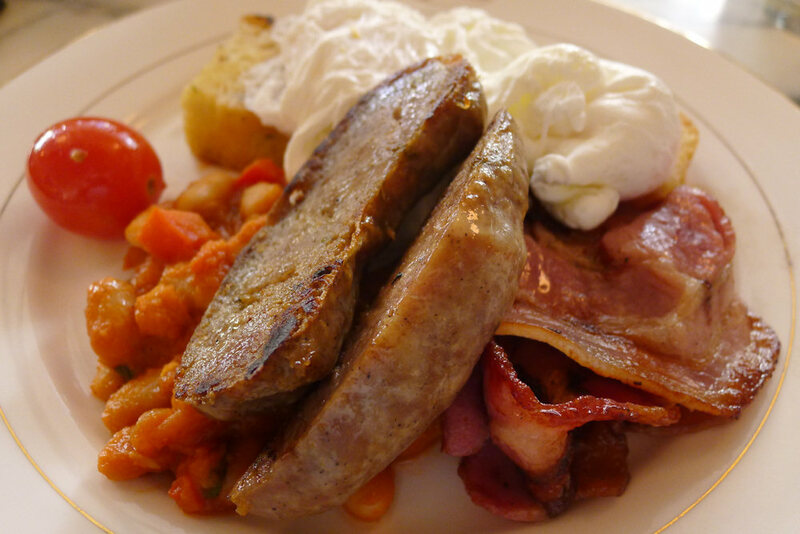 It is nice to have some good sausages with our breakfast for a change instead of something that tastes like your typical BBQ snags. 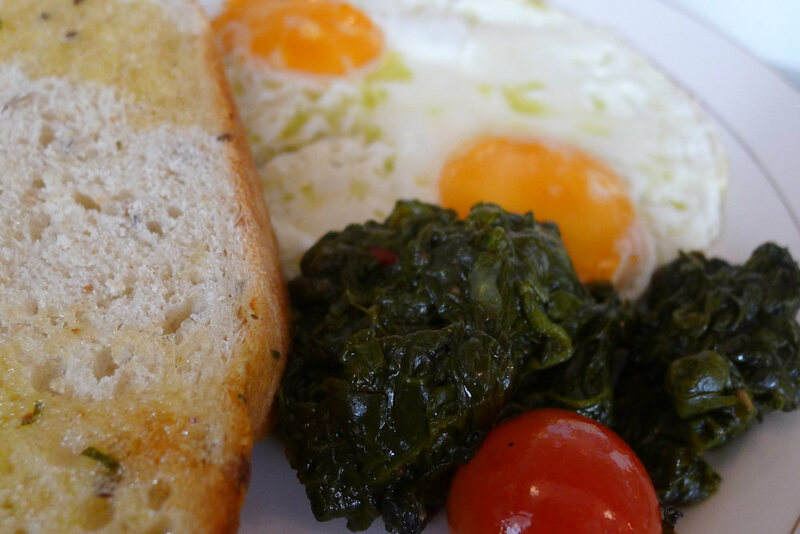 We also order the eggs any style with spinach ($12). Other options include Mortadella and Marscapone ($14) or Prosciutto San Daniele and soft cheese ($14). For a lactose intolerant-vegetarian, the different options are welcomed. The spinach is soft and enjoyable to eat. If parents made spinach like this there would be fewer protests at the dinner table! The eggs are fried perfectly and the single tomato is a nice touch. Melt in your mouth, sugary goodness! 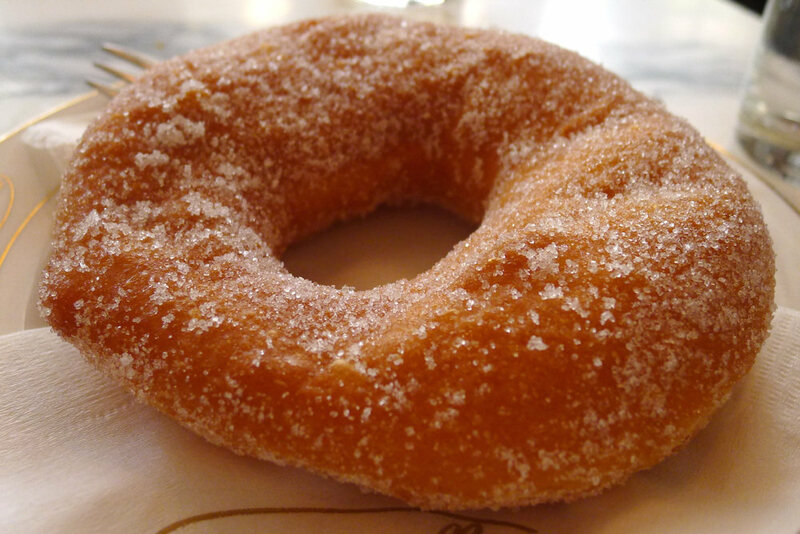 The plain ciambella ($5) is incredibly soft inside and we could easily order another! We may have to introduce a new fitness regime into our week to counteract this indulgence. 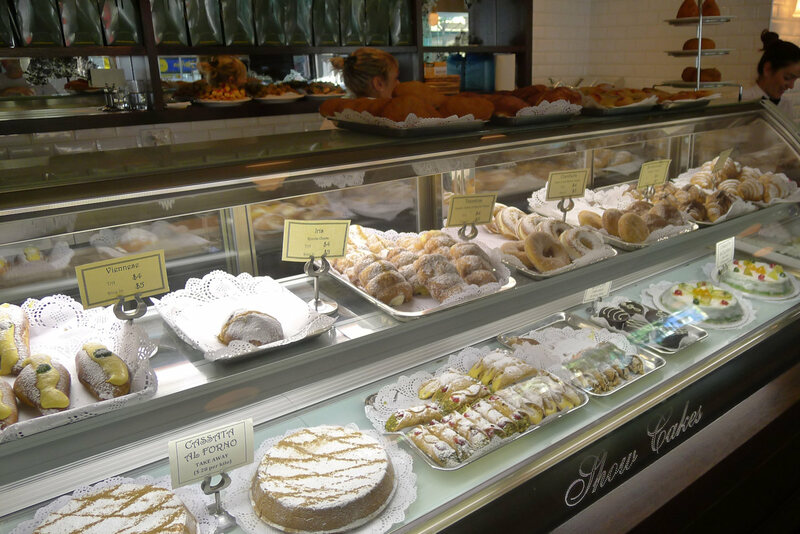 Unlike many cafés that try to look, sound or cook European, Caffé Sicilia actually delivers. Everything from the decor to the food reminded us of our visits to establishments from the North and we can gladly recommend it as a fantastic breakfast café. They serve lunch and dinner too so you really have no excuses for trying! There is an amazing public library on Crown Street where you can borrow books, DVDs and toys. They have free wifi so if you need to do some work or study this is the place to be. If quiet libraries aren’t for you, there are plenty of other cafes, bars and restaurants you can try, all within a few minutes’ walk. We passed by one weekend and it was packed so had to go back mid week to give it a try. Each of us had a different dish and all were delicious. Some of the italian desserts were a little too sweet for my taste but ate all of them anyway. Yes the waiters were cute, chatty and all in a lovely Italian accent. Will go back again to try the breakfast and dinner menus. 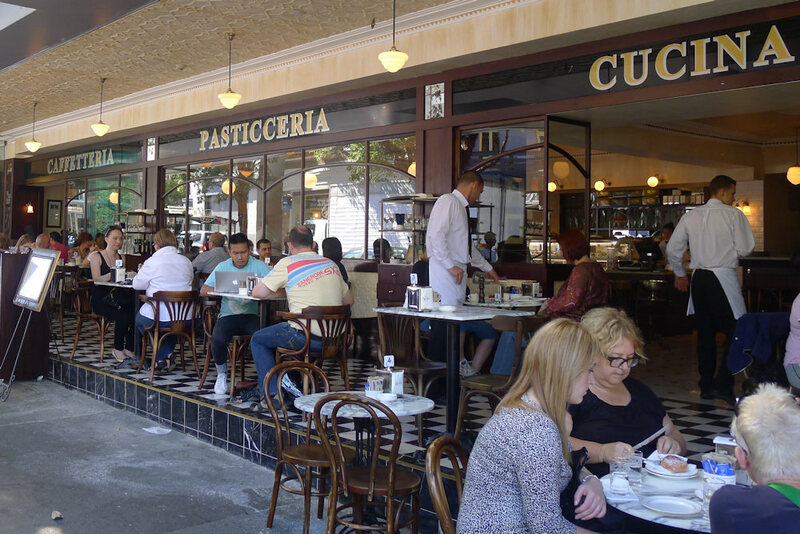 Having eaten At Cafe Sicilia twice, it is hard to believe that you are describing the same restaurant. Dinner last night was just awful. There is nothing to eat on the menu except a few bits of messed around stuff pretending to be italian, no meat, no chicken, no proper fish, no stew and pasta which tasted store bought. The location and fitout is so fabulous, it takes time to sink in that the food is so poor an unappetising. 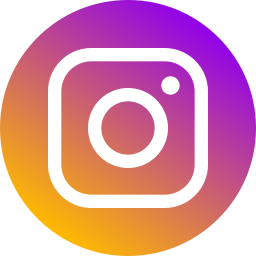 The breakfast looks great in your photos. Perhaps this is the time to go, when you actually get something to eat! Thanks Charmian. We can’t comment on lunch or dinner but as mentioned in the review there were plenty of friendly staff all around and the breakfast and pastries were great. However if you don’t want to gamble over your breakfast, go a few blocks up to fouratefive!